A set of covers were revealed today for the third issue in Archie's upcoming Mega Man comic book series. Yes, issue #1 isn't even out yet, and we already have ourselves covers for the third. No matter, Enjoy! The covers are being penned by Patric 'Spaz' Spaziante (left) and Ben Bates (right) respectively. 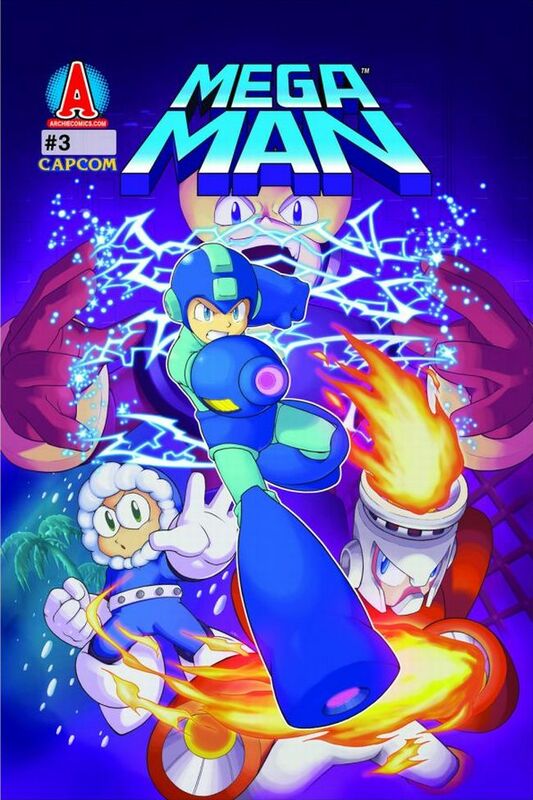 Bate's cover looks to be continuing the tradition of a second "villain variant" cover, which spotlights a Robot Master. 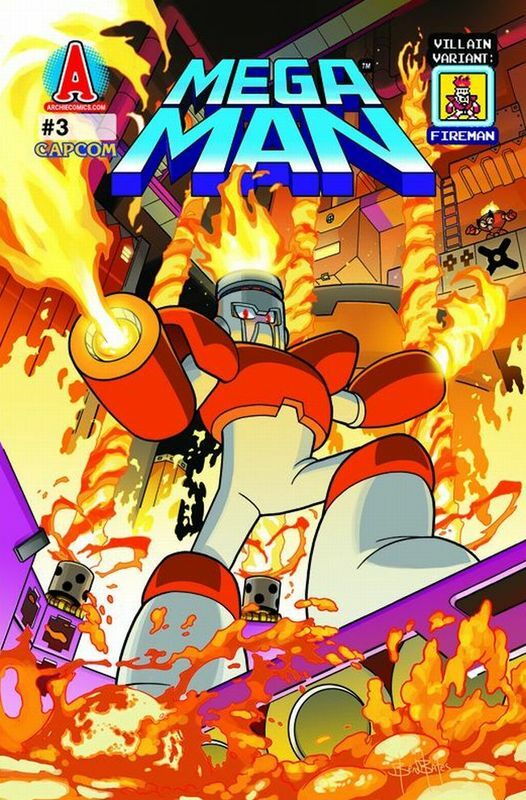 Issue two's variant is none other than Guts Man. Collector's looking to score variants can do so by checking out specialty comic shops -- these won't be included with subscriptions, unfortunately. That's some amazing artwork, right there. Wow I wonder if the artist is a Capcom fan! His art looks similar to the capcom artists. I'm excited! Awesome default cover. Spaz needs to do ALL the art on all these issues. Spaz or bust! Back when the dreamwave MM comics were coming out, I wasn't earning enough to track variant covers down or anything (was also getting the Udon Capcom comics out at that time). Nowdays, that definitely wouldn't be a problem, if I can find places that have it. Ben Bates art is amazing, I like it a little more than spazs.